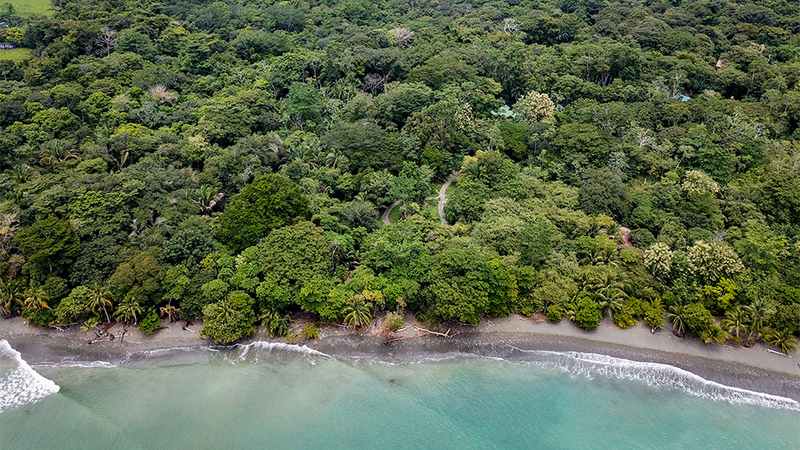 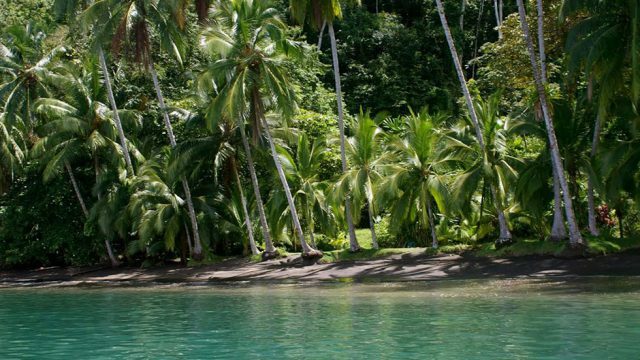 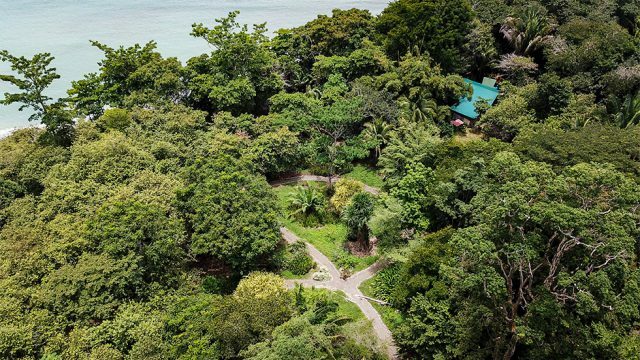 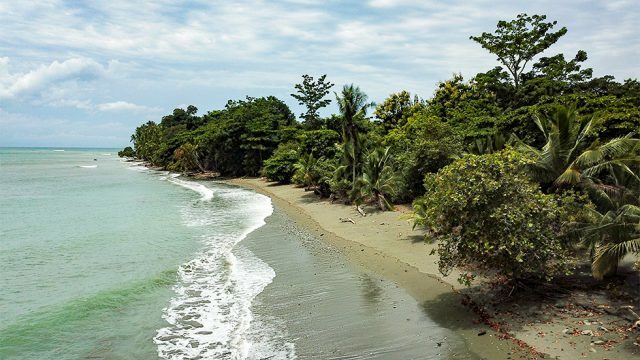 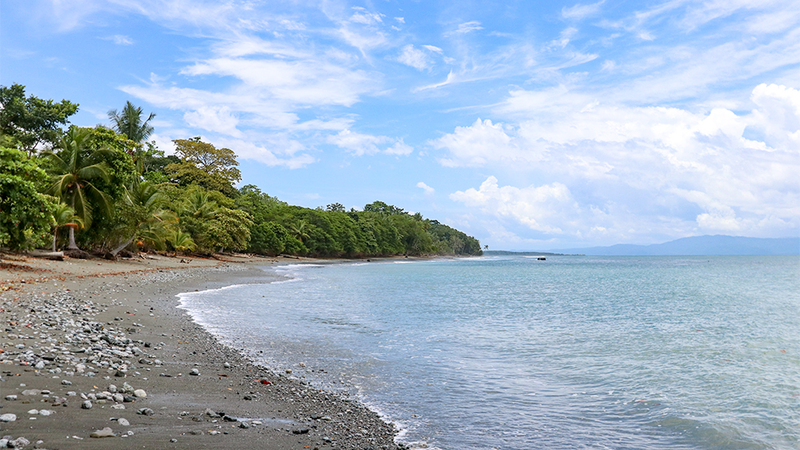 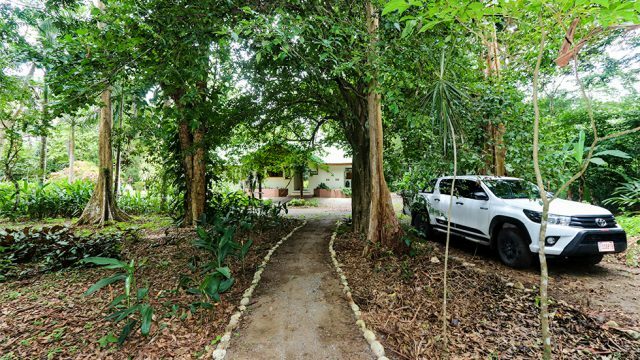 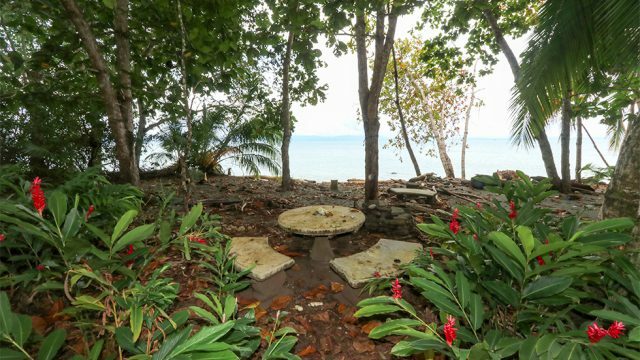 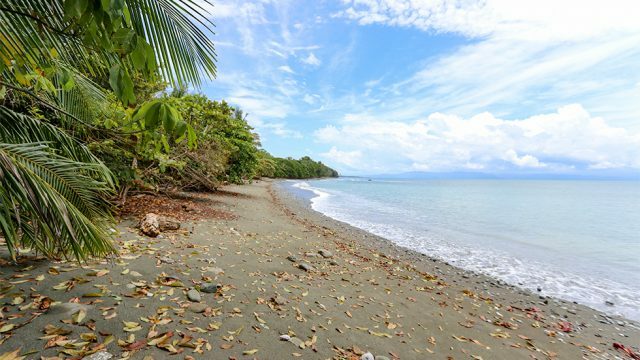 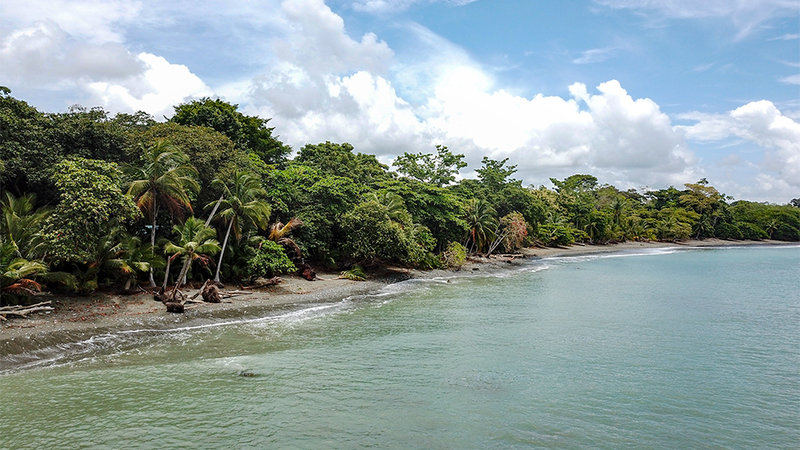 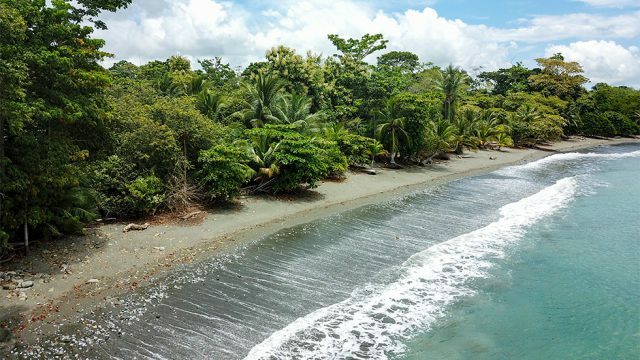 Positioned inside of the Golfo Dulce, on the secluded shores of Playa Colorada, this idyllic 5-acre property offers a unique opportunity to own an “Off the Grid” beachfront retreat teeming with exotic wildlife. 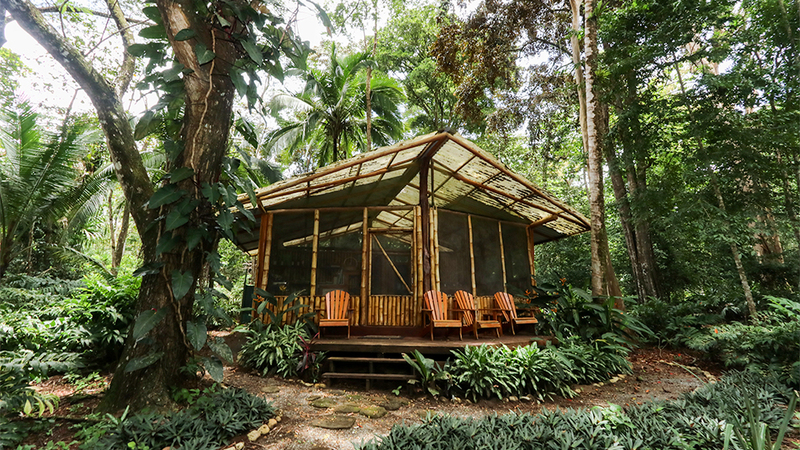 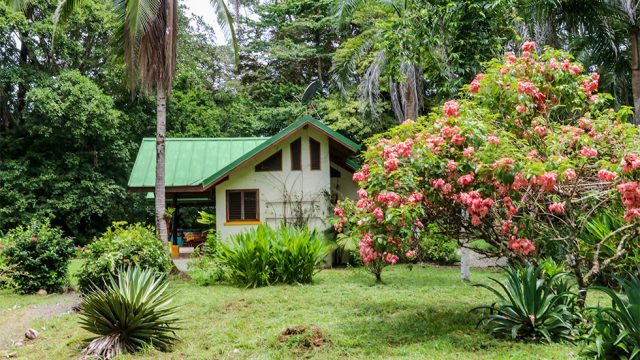 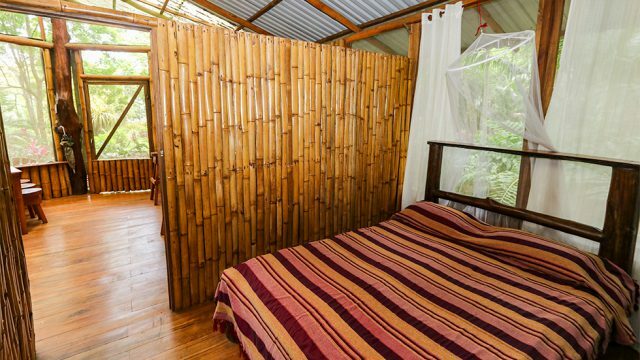 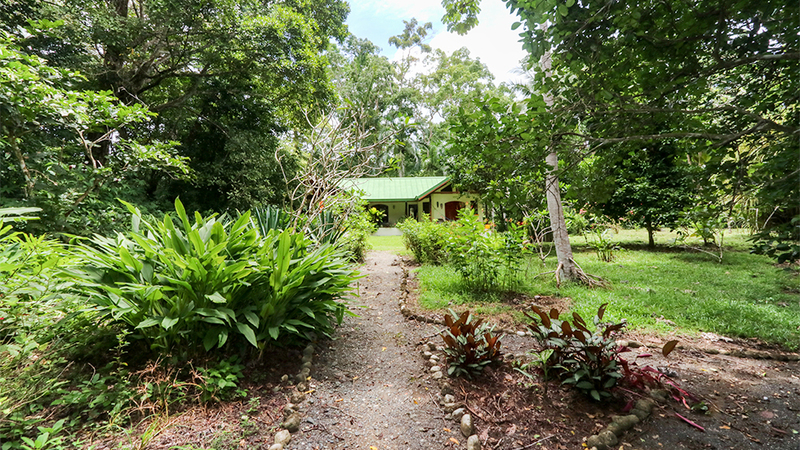 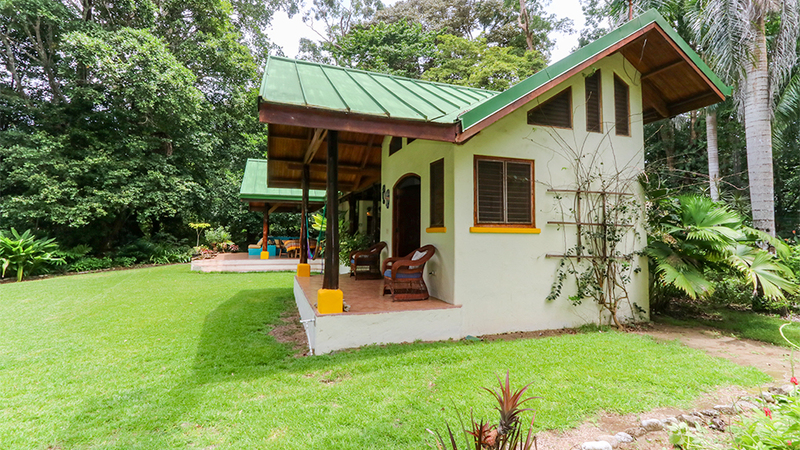 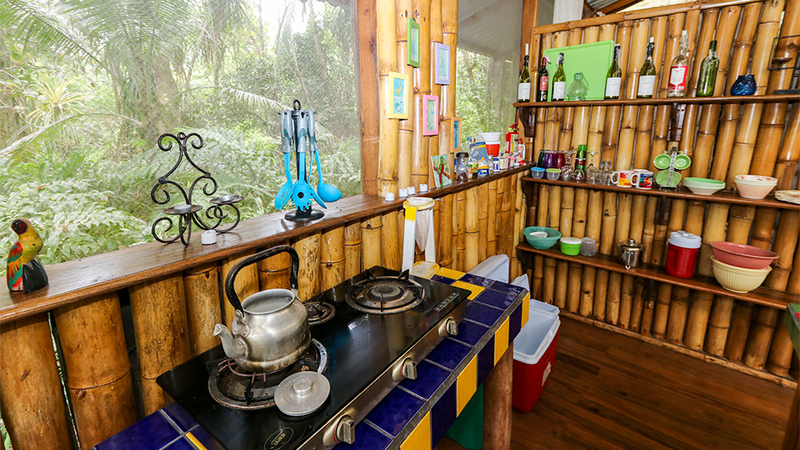 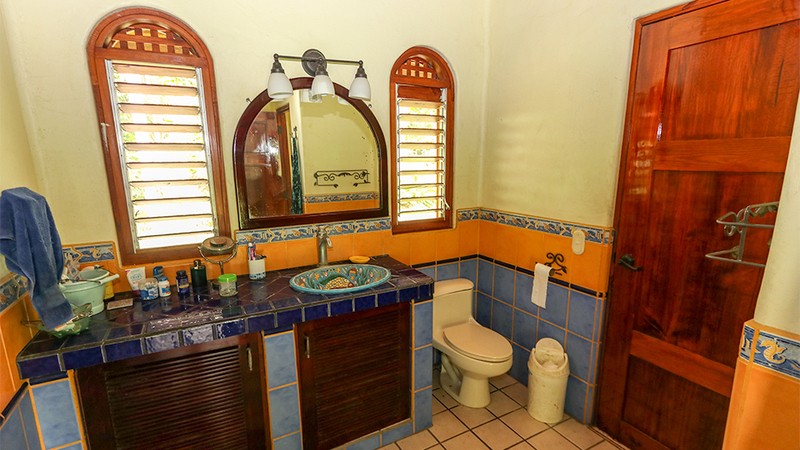 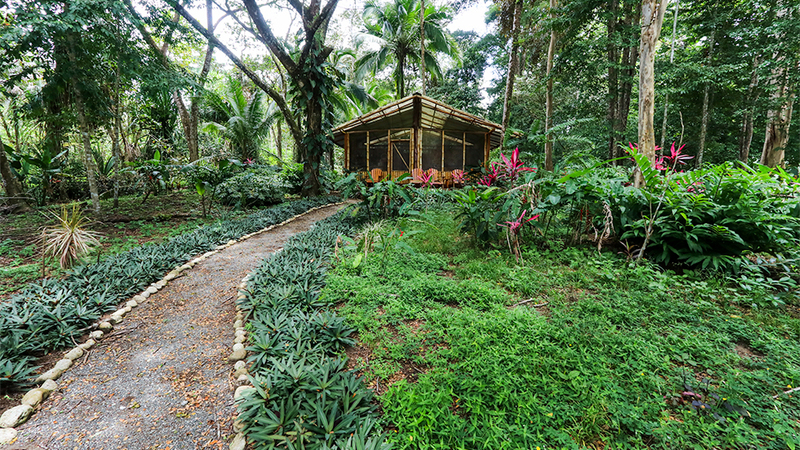 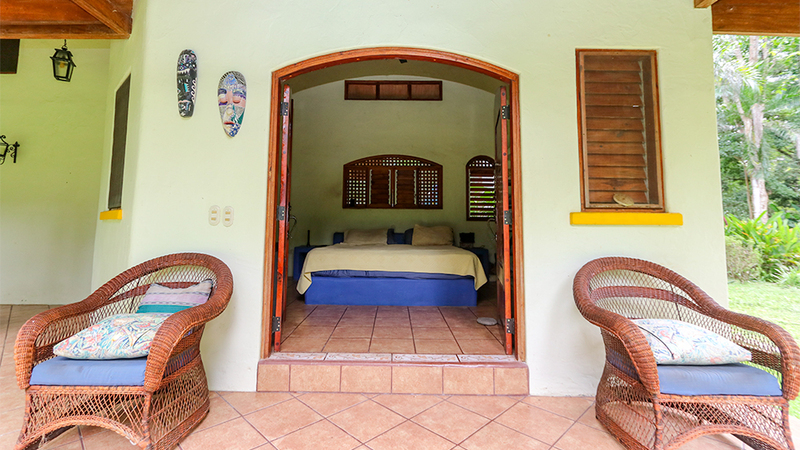 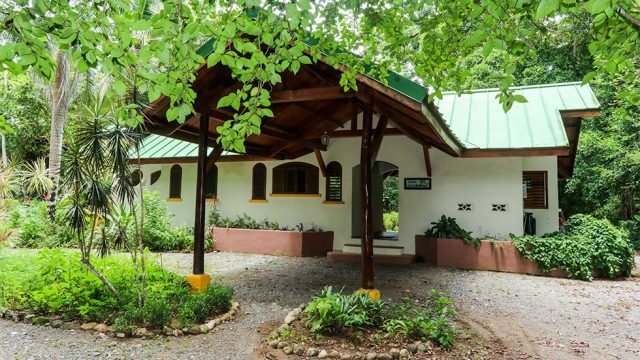 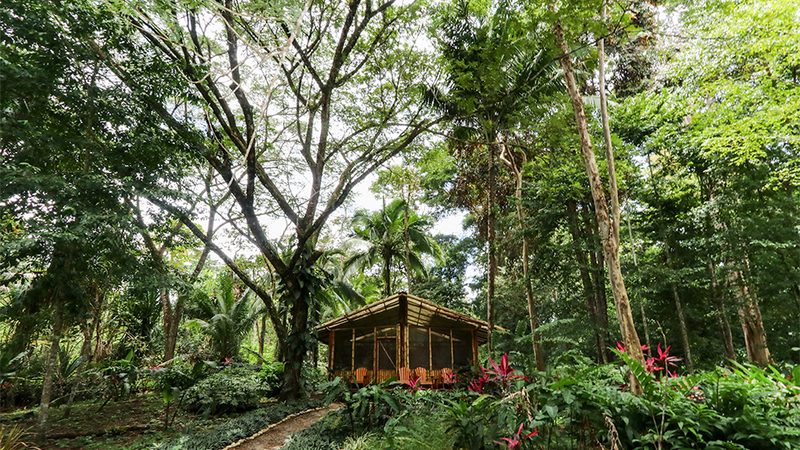 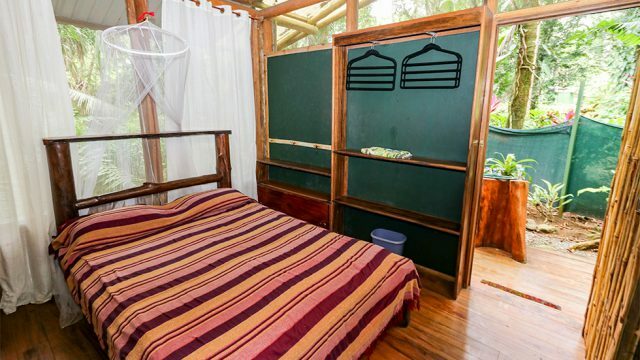 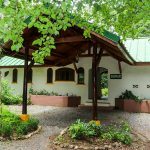 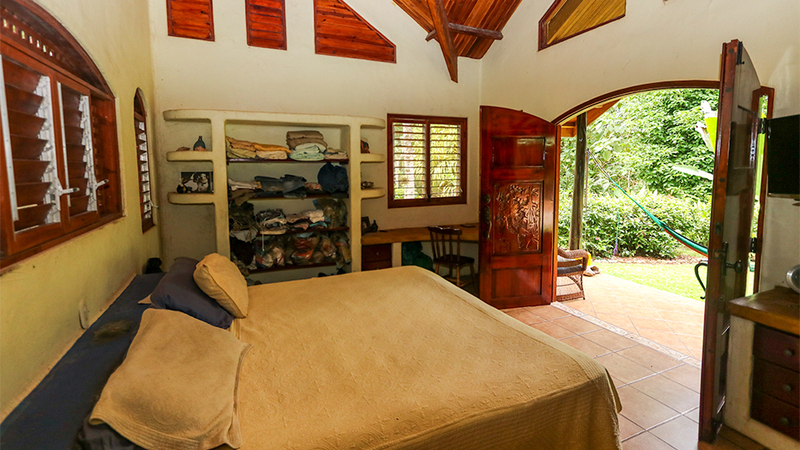 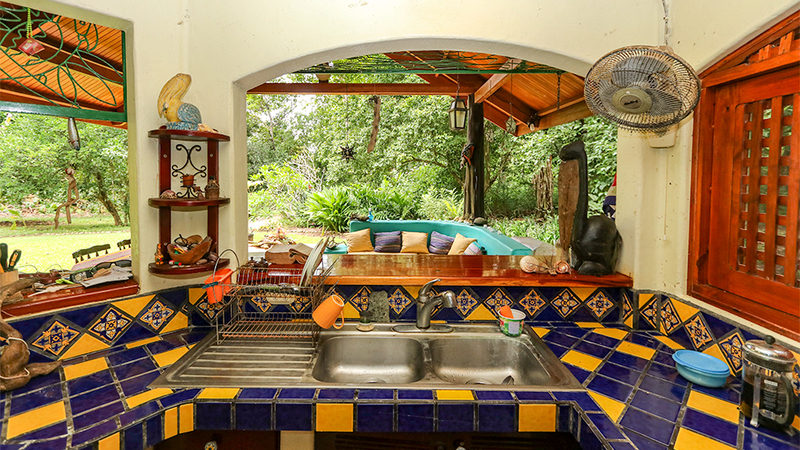 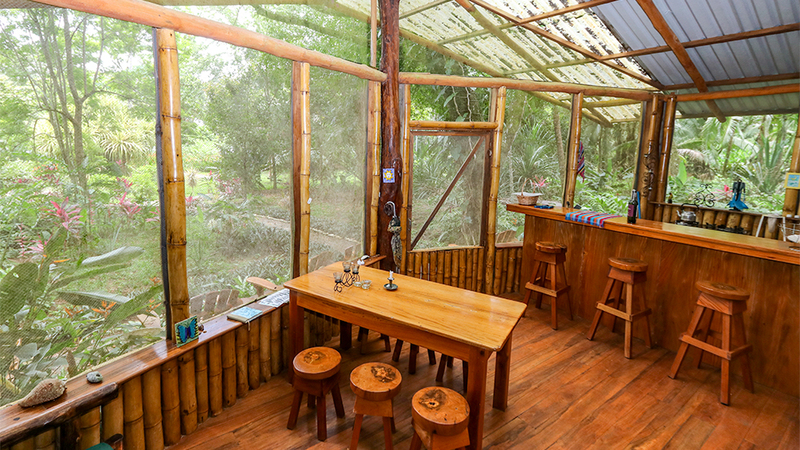 This offering features a 2 bed / 1 bath main home, a rustic 2 bed / 1 bath rental cabin tucked away in the rainforest, a caretaker’s home, and private walking paths leading right to the beach. 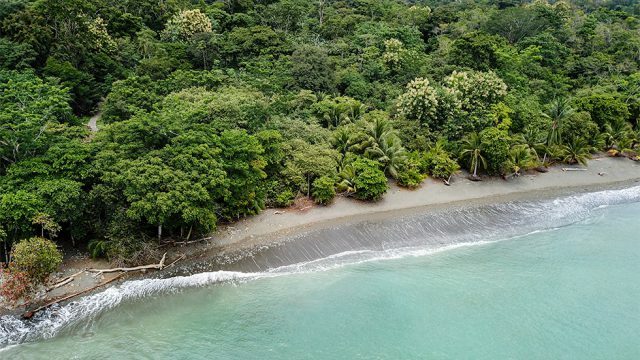 Here you will discover that the rainforest touches the sand, the wave action is gentle, the tropical waters are warm and inviting, and you will be able to hike down the beach and not find another human footprint in the sand. 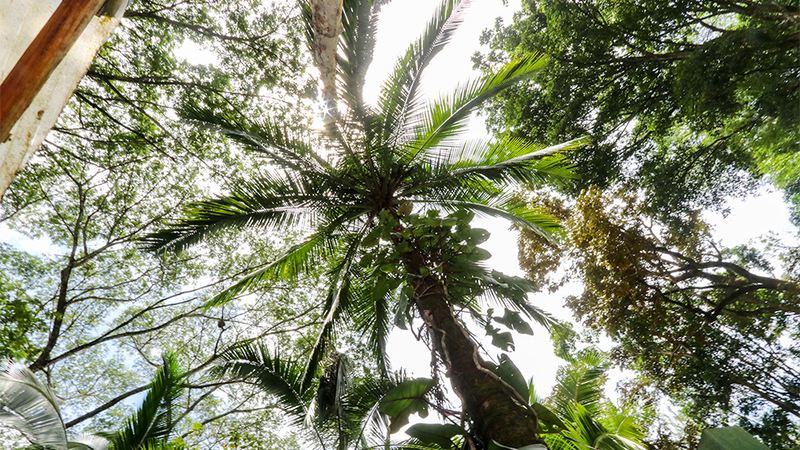 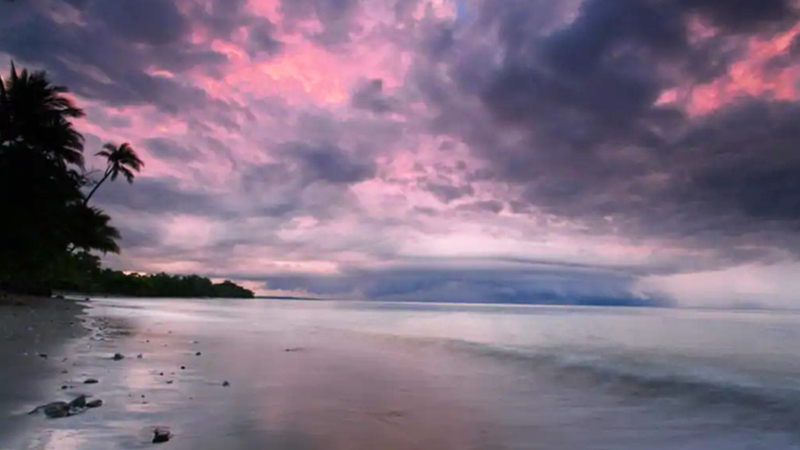 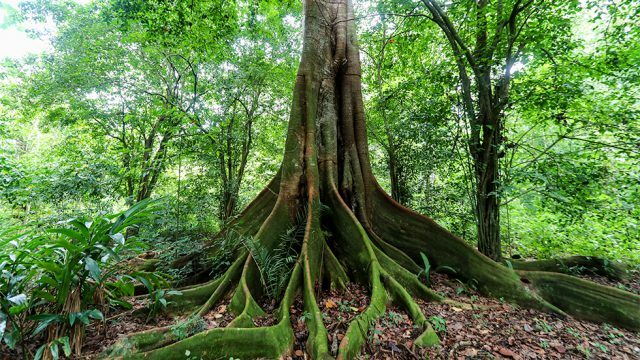 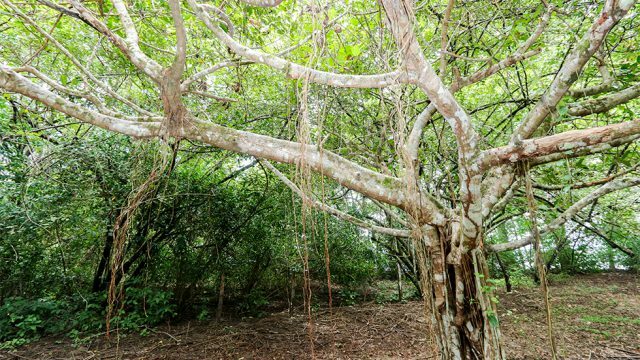 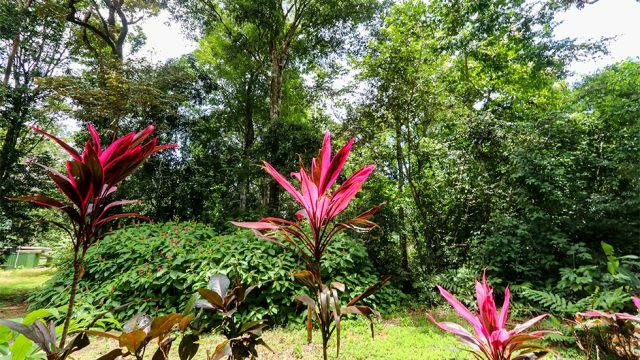 Located on the Osa Peninsula, one of the most biologically diverse places on the planet, the property is located close to a massive reforestation project initiated by philanthropist billionaire Paul Tudor Jones. 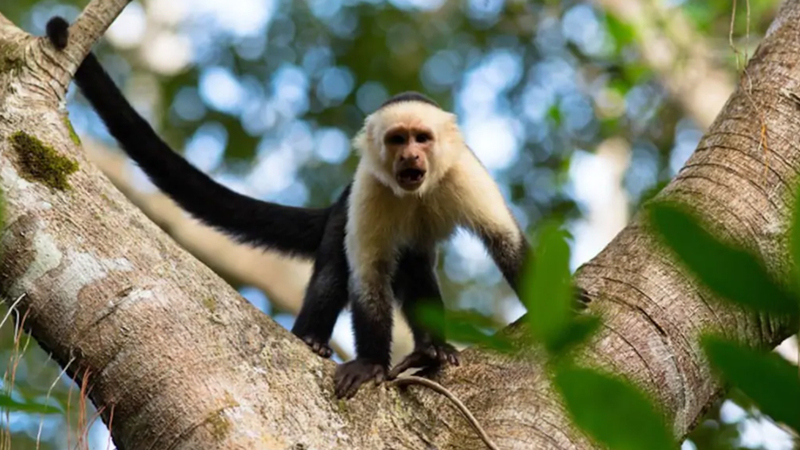 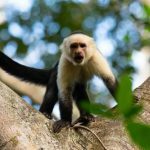 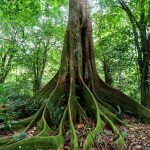 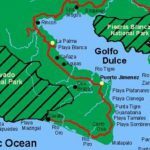 This reforestation effort is reclaiming cleared cattle pastures to their natural state and reestablishing natural wildlife corridors from Costa Rica’s largest national park (Corcovado National Park) back to the shores of the Golfo Dulce. People travel the world over to come to the Osa Peninsula and this area is a true national treasure. 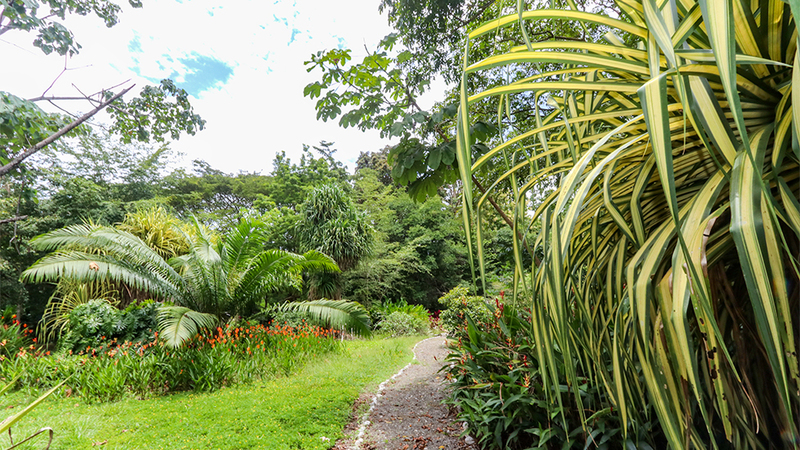 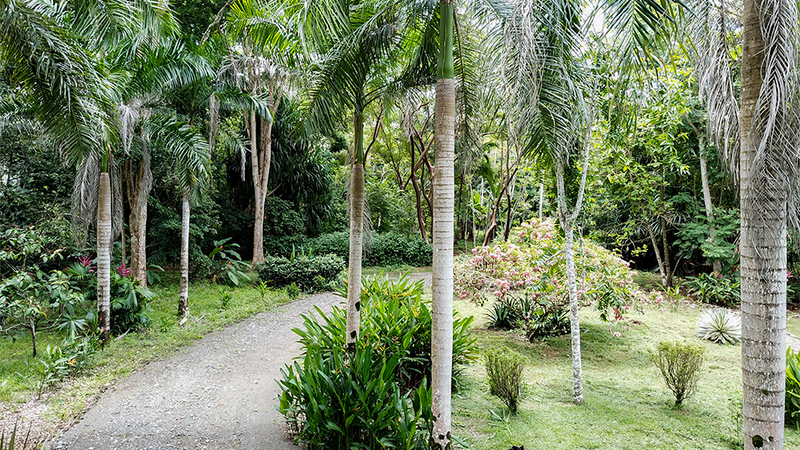 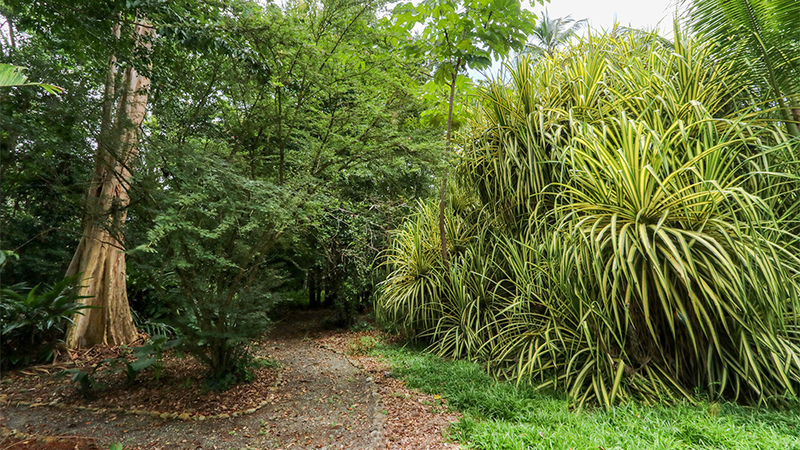 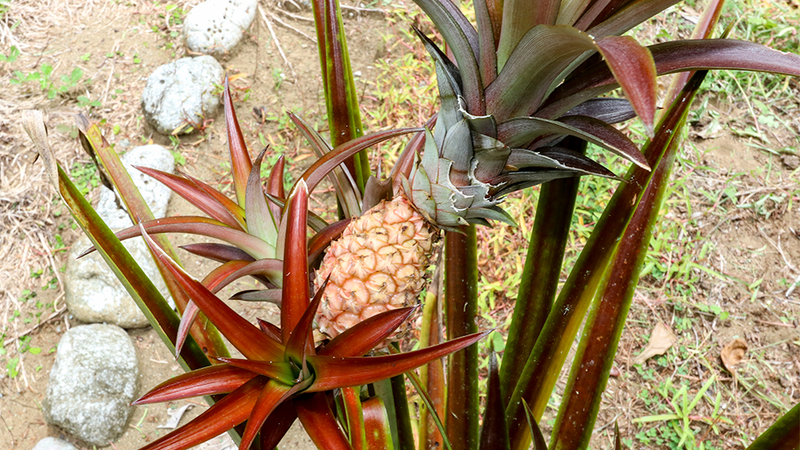 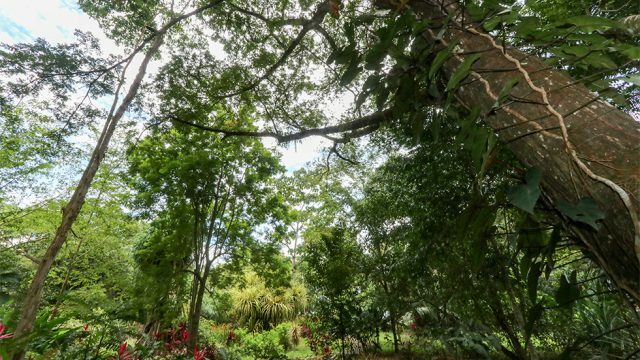 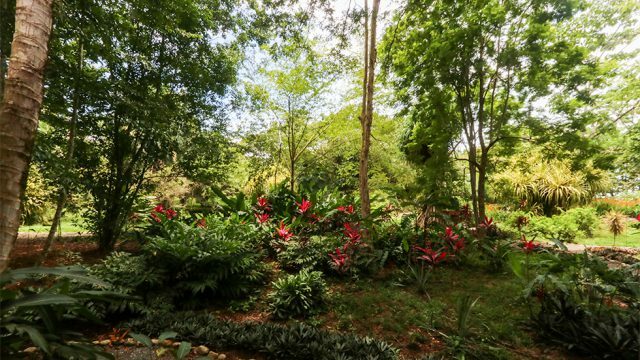 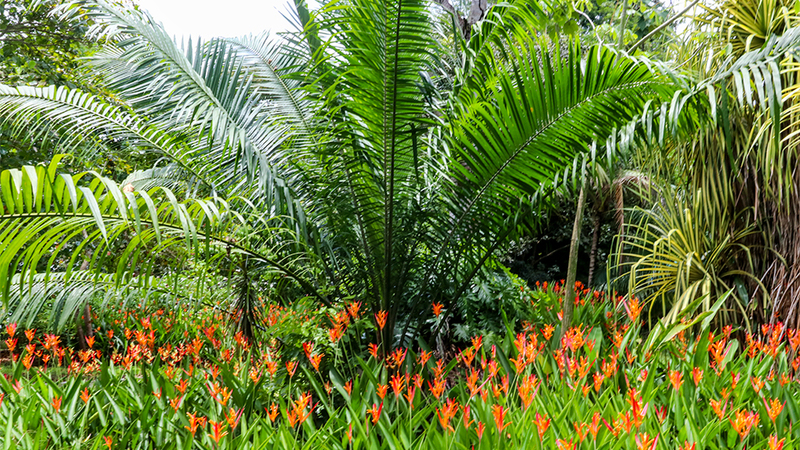 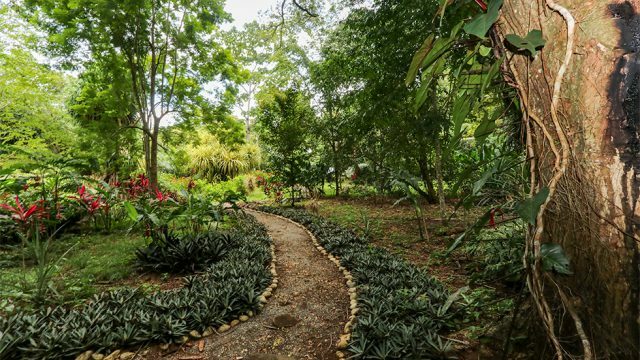 While strolling on the property’s walking paths, you will notice extensive plantings of Heliconias, Ginger, Teak, Ron Ron, Bamboo, Guayaba, Bananas, Papaya, Mango, Avocado, Noni, Avocado, wild Almond, and many species of citrus. 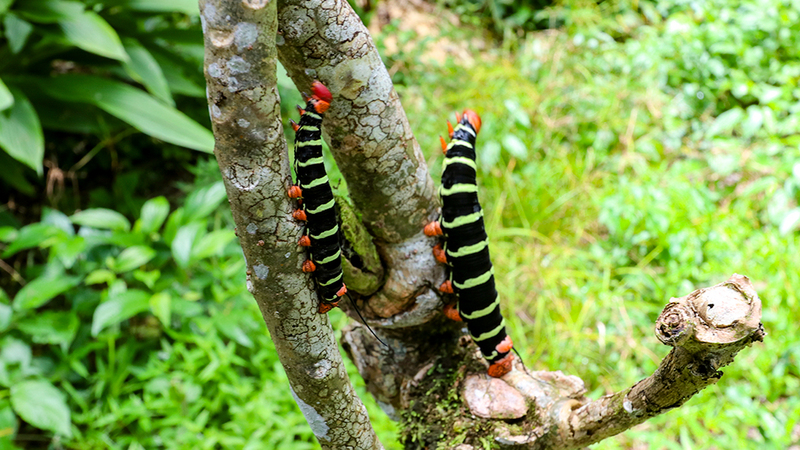 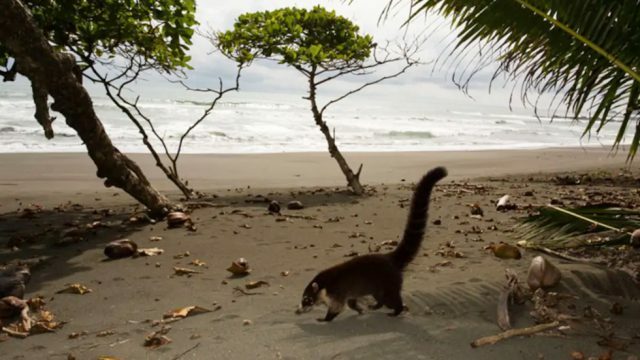 You will also regularly encounter Costa Rica’s most beautiful creatures. 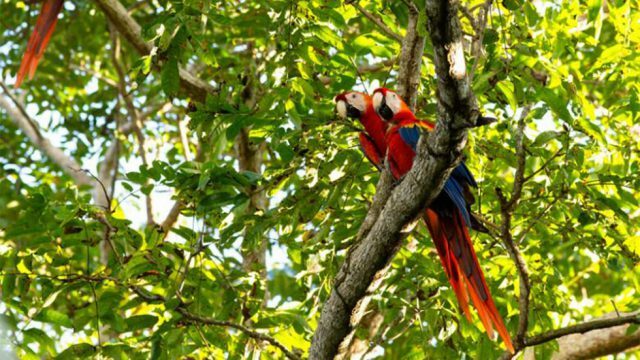 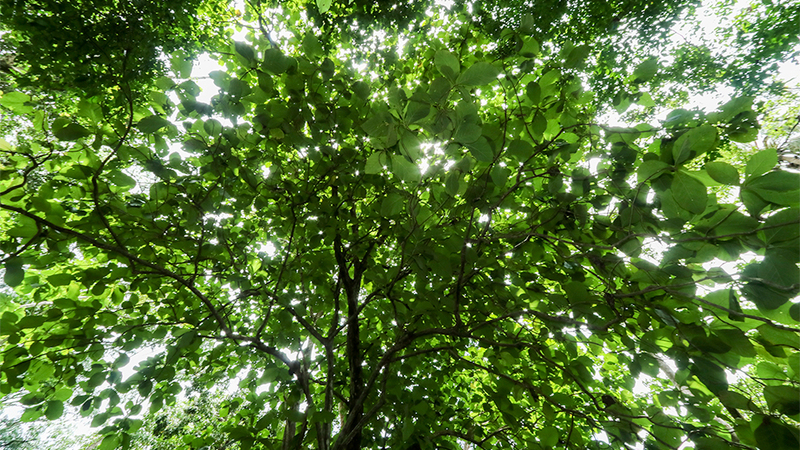 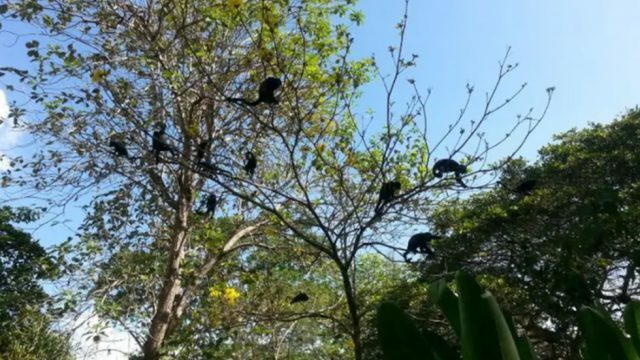 The forest is full of monkeys, Sloths, Coatamundi, Scarlett Macaws, Toucans, Hawks, Parrots, and much more. 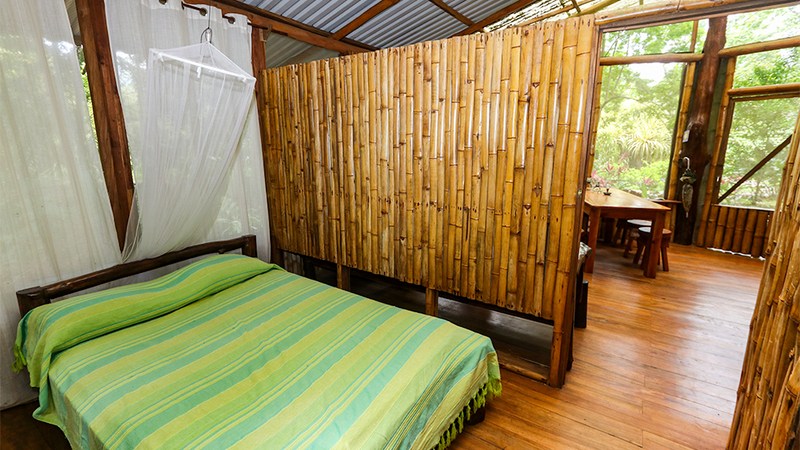 If your idea of paradise is lazing about in a hammock on the beach while being surrounded by wildlife, this is definitely the place for you. The primary residence was built in 2006 by American builder Brad Shenko with very solid rebar construction, a deep foundation, standing seam metal roof and insulated below for heat reflection. 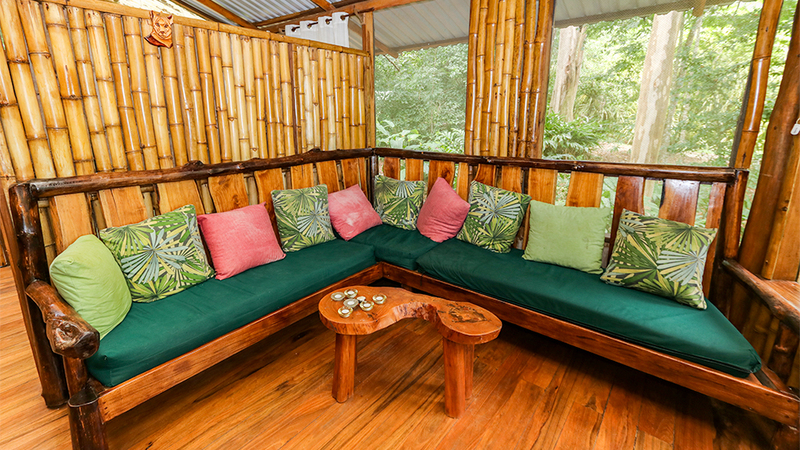 Finishes include cathedral teak ceilings used throughout the house, hand-carved nature-themed doors, hand-painted tiles, and Baldwin lifetime brass commercial grade hardware. 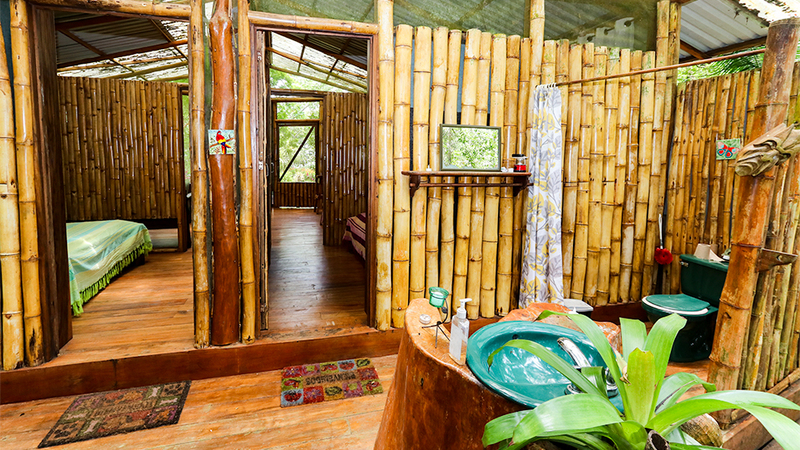 The home includes 2 spacious bedrooms, a shared bathroom with a partially enclosed outdoor shower, and a loft above the kitchen. 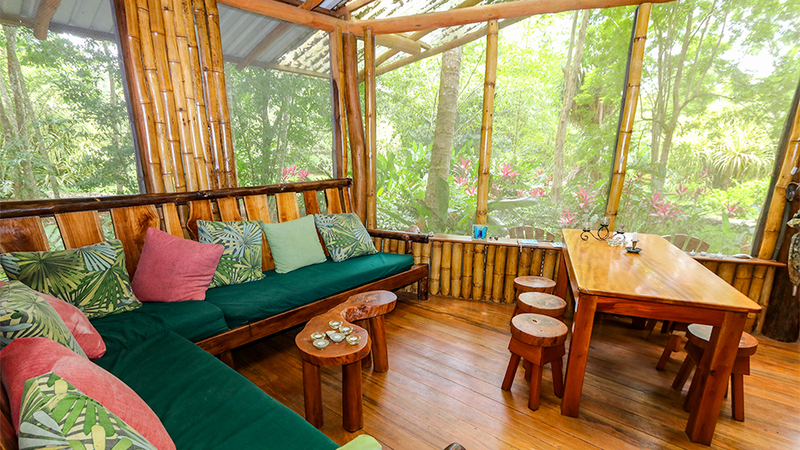 The open living areas are designed for the tropics, shaded by trees for afternoon sun and to circulate the Golfo Dulce breeze. 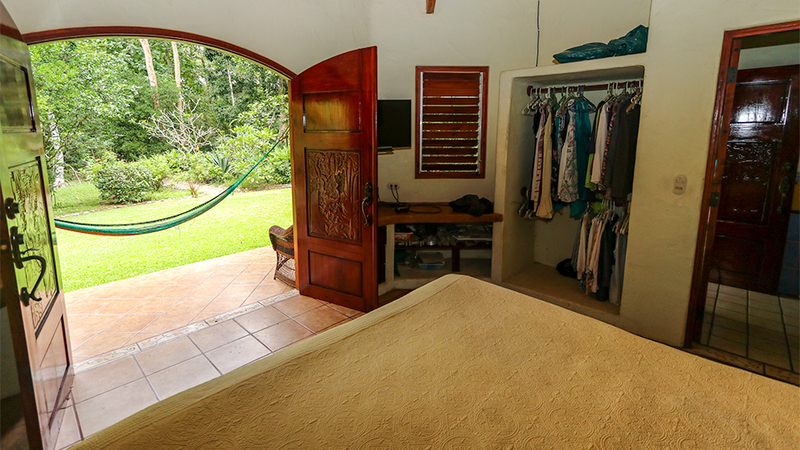 Other amenities include covered parking, a secure storage bodega for storage, laundry, Sky TV, internet, and hot water to the kitchen and bath. 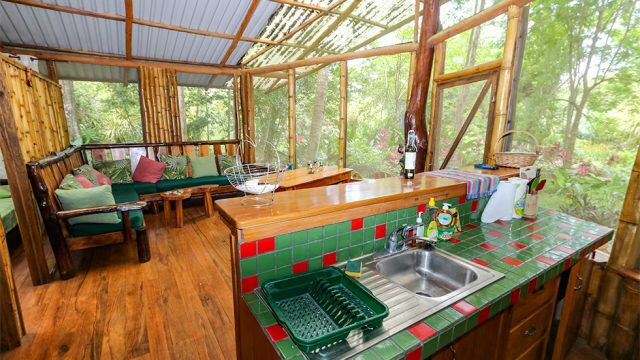 Located further down the beach trail is a rustic 2 bed / 1 bath cabina constructed from local hardwoods. 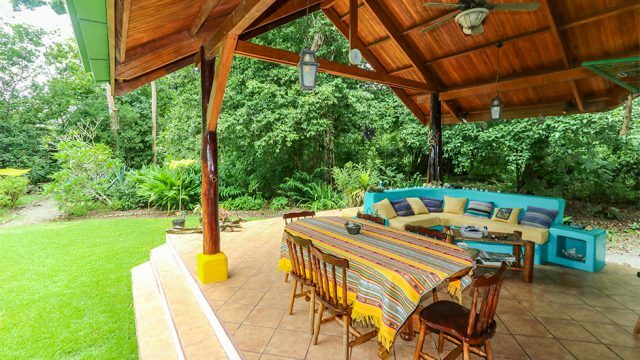 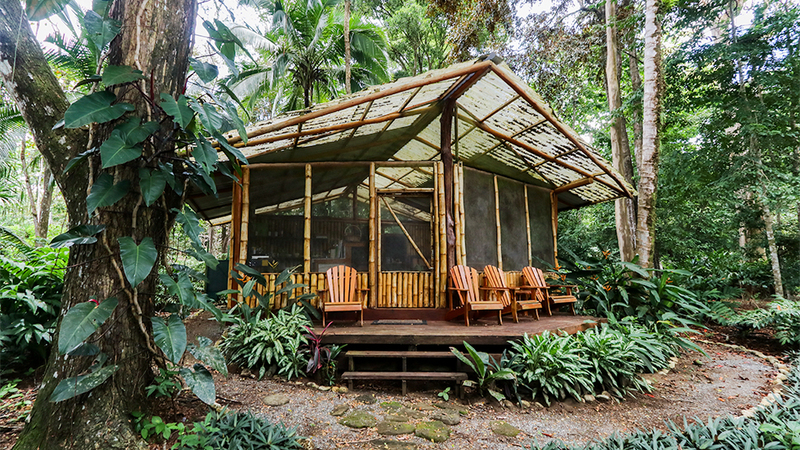 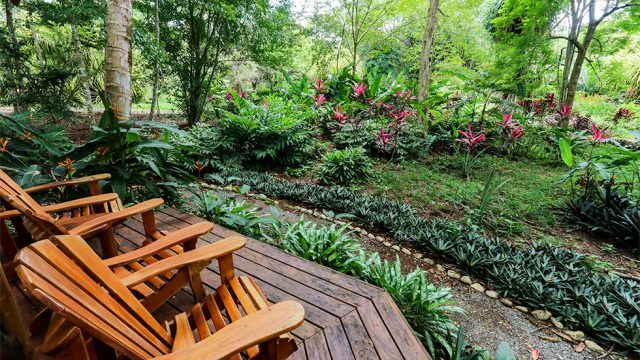 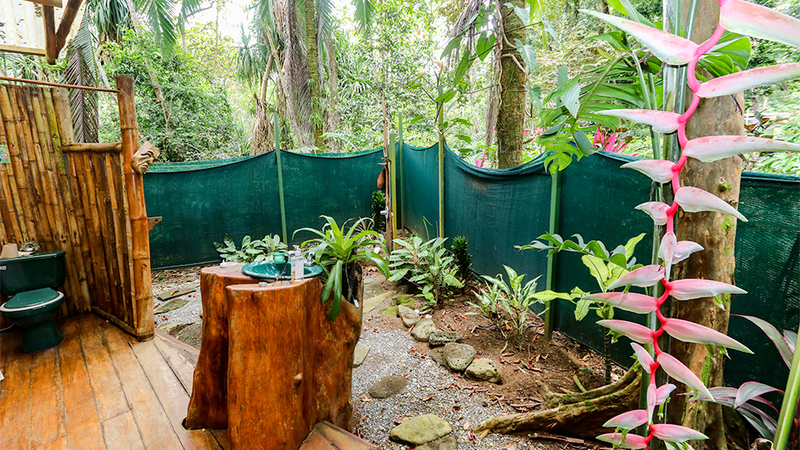 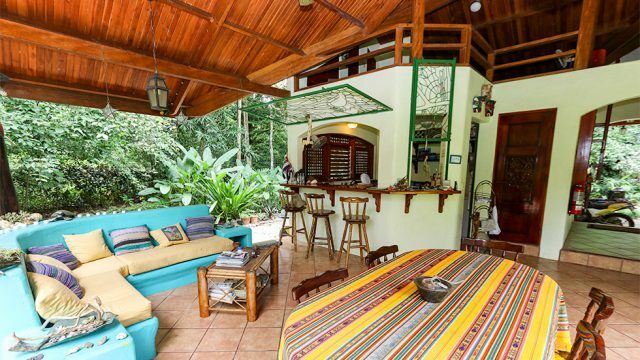 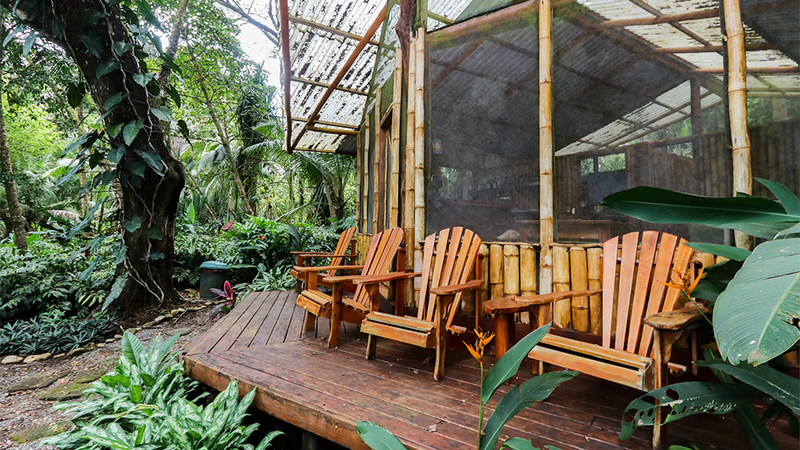 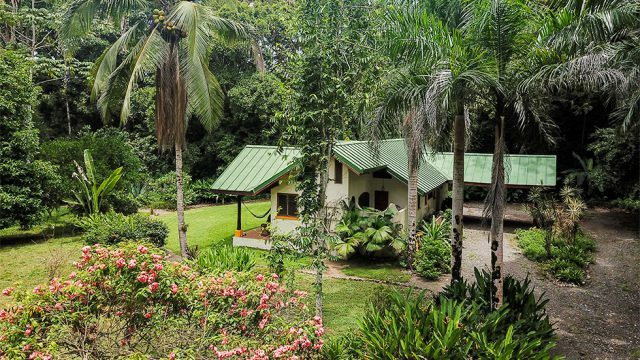 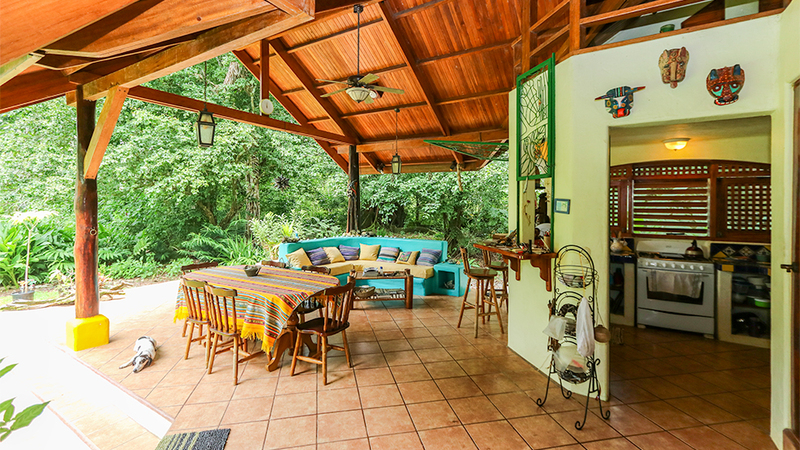 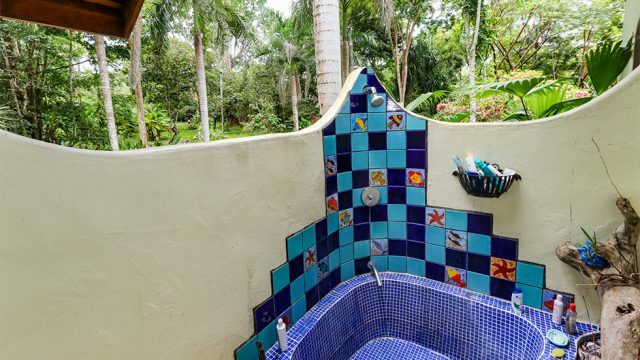 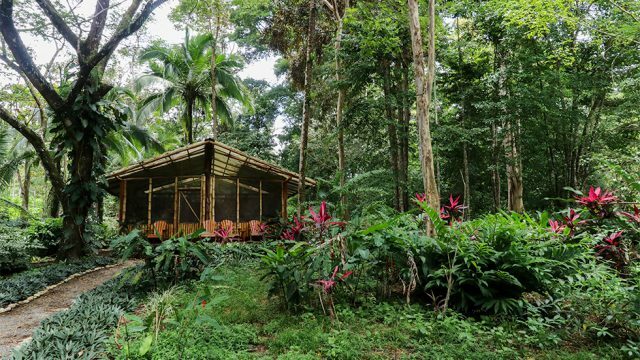 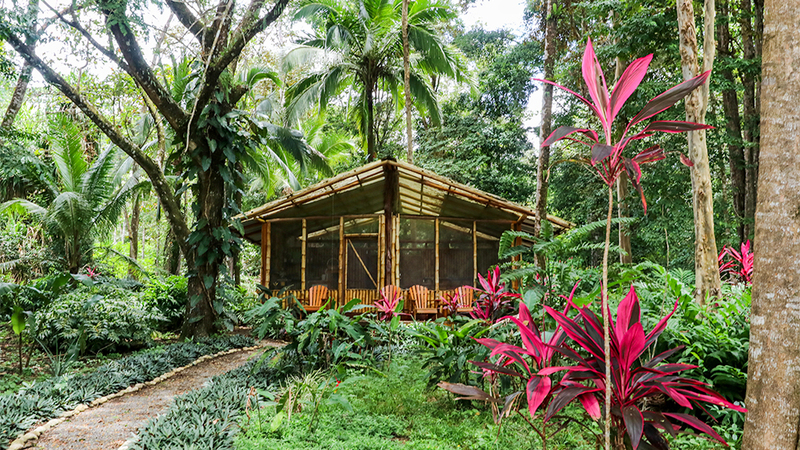 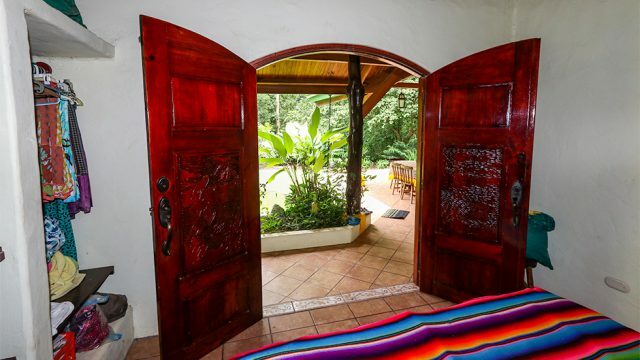 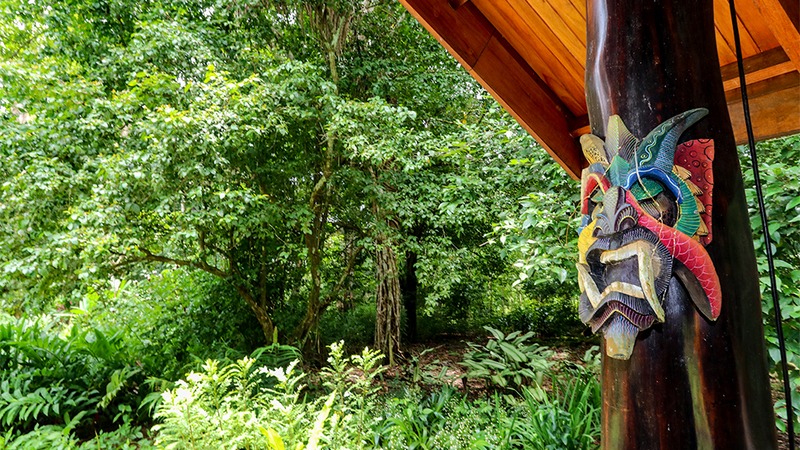 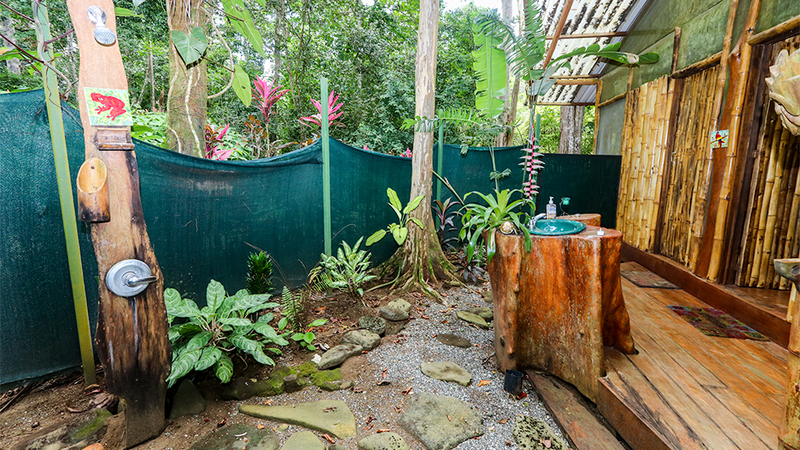 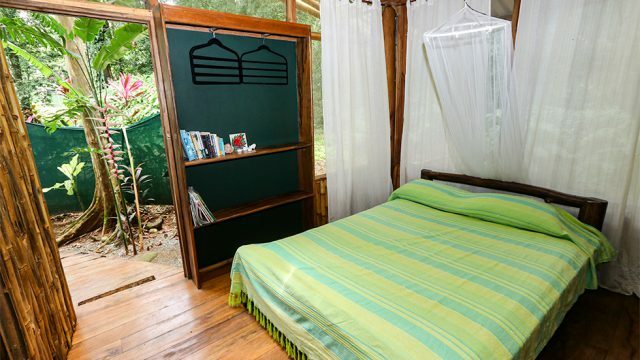 Ensconced in the rainforest, this home functions as a vacation rental with 5-star reviews. 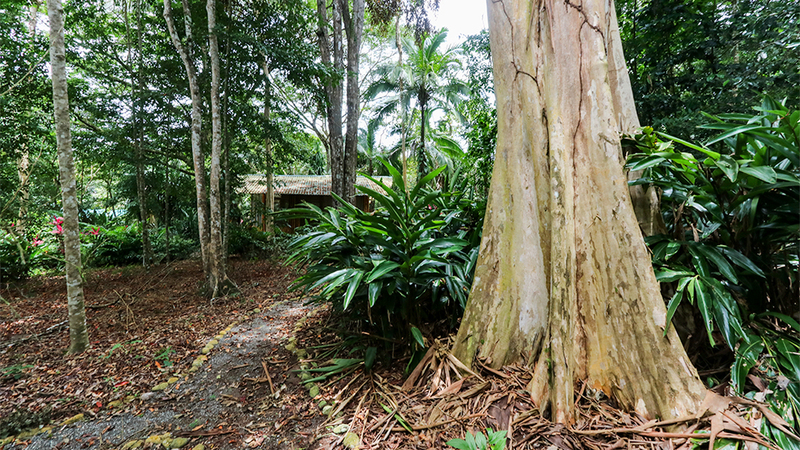 In addition to the main home and the rental cabin, a basic caretaker’s home is located towards the rear of the property. 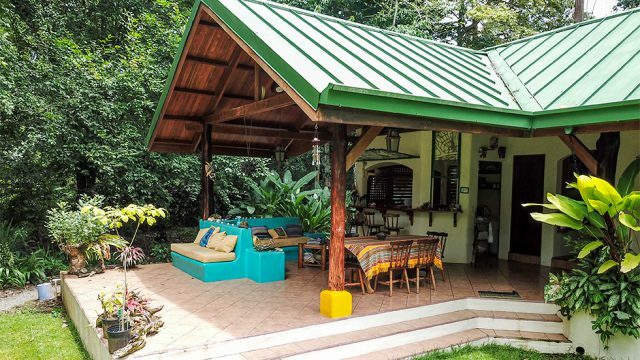 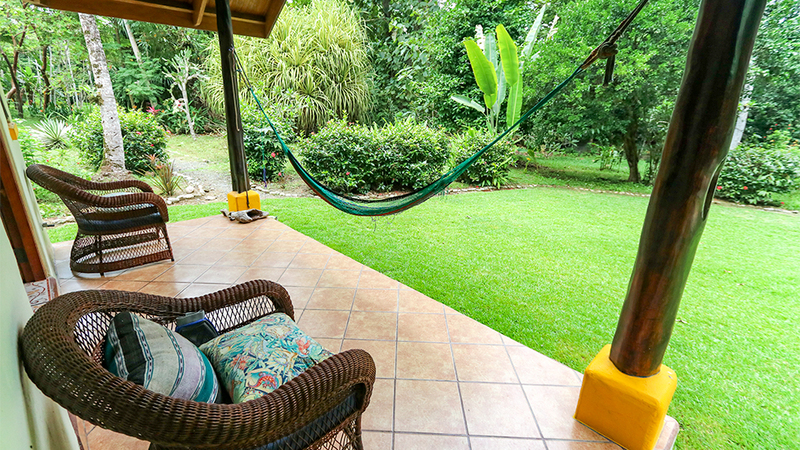 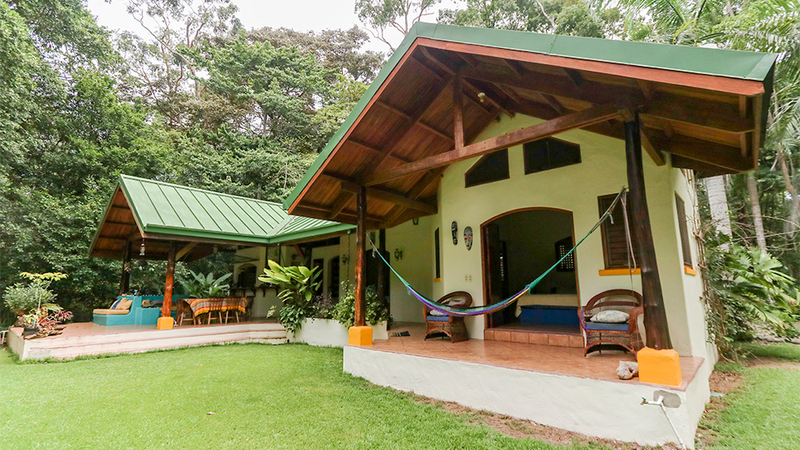 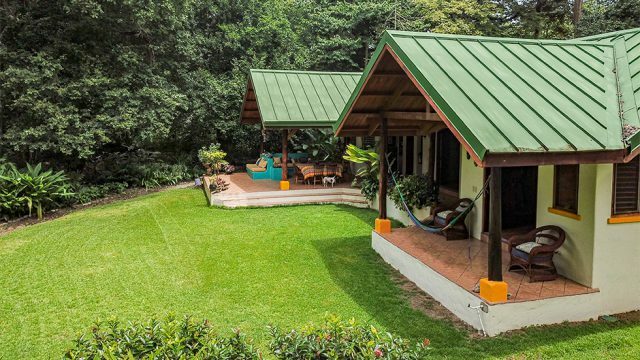 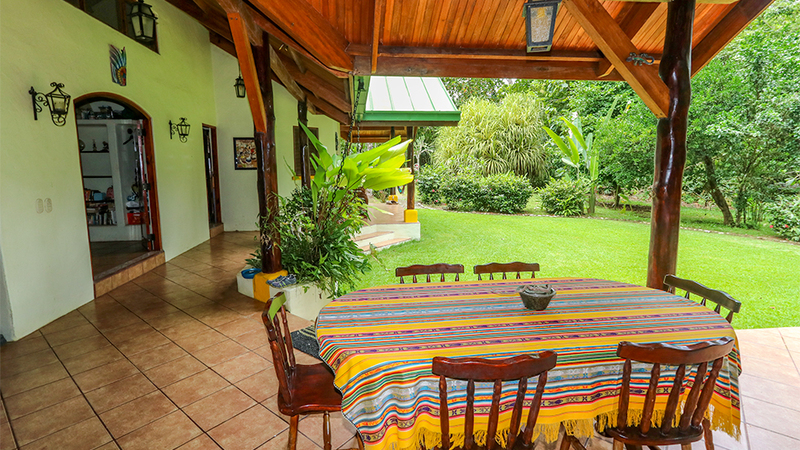 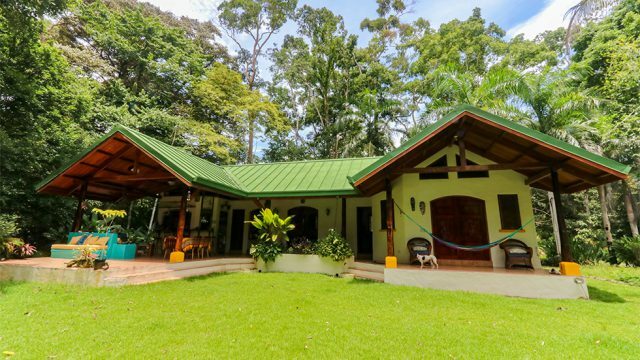 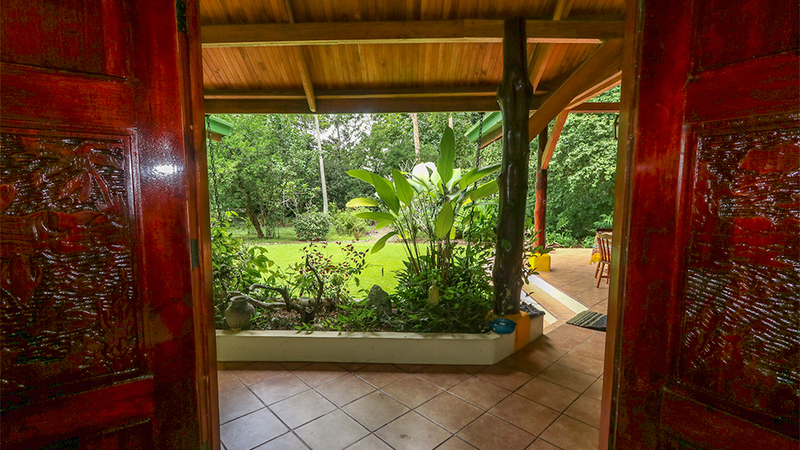 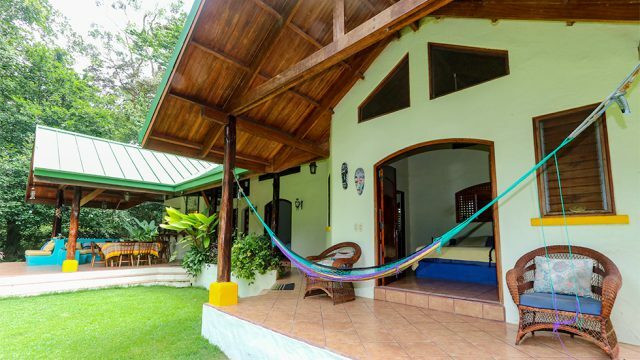 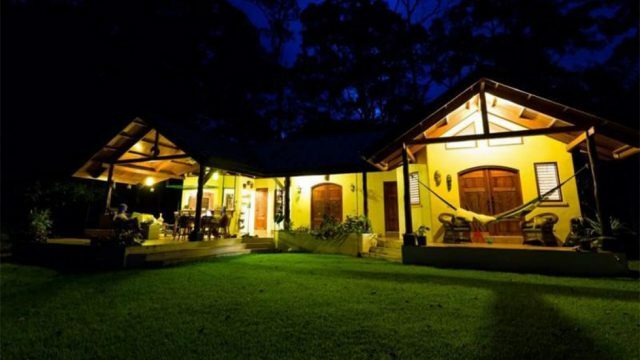 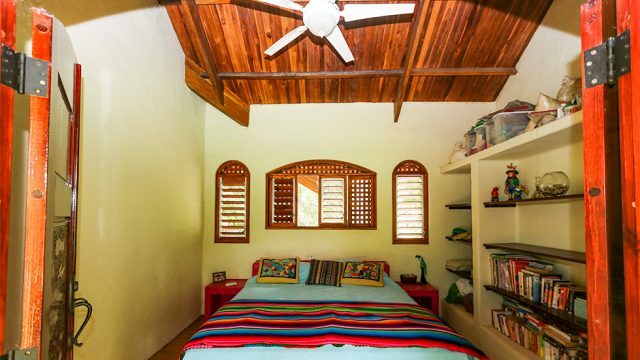 This is perfect for absentee owners who need a local Costa Rican to oversee and maintain the property while they are away. The property is “off the grid” with a clean solar energy system installed by Intitech with new batteries replaced in 2018. 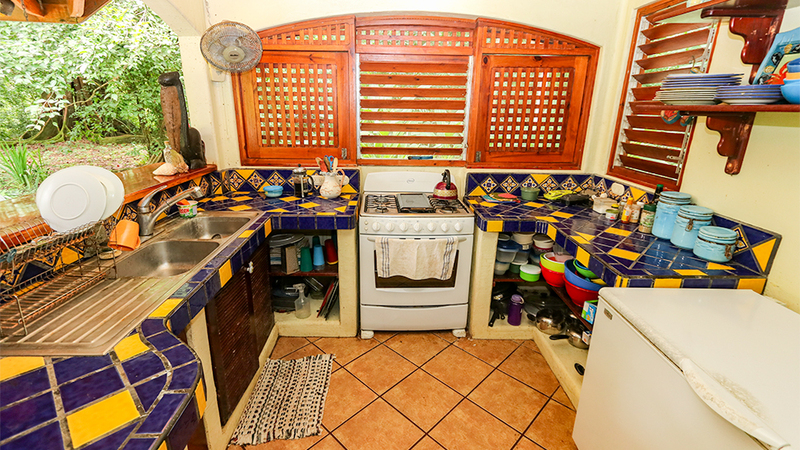 The solar system powers the refrigerator, lights, ceiling fans, television, radio, washing machine, and water heater. The water supply is provided by an independent well which was hand dug for domestic use in 1995. The quality of the water is excellent and is stored in a tower with two large holding tanks adjacent to the caretaker’s home. 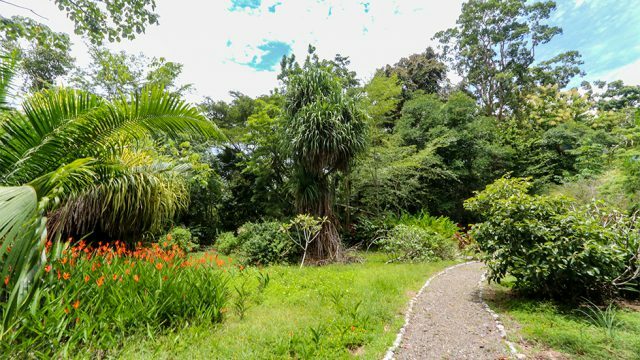 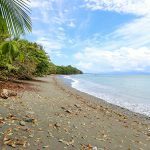 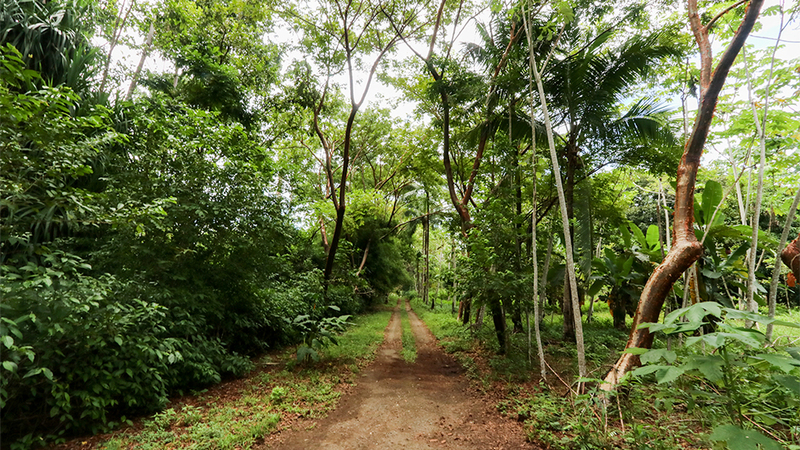 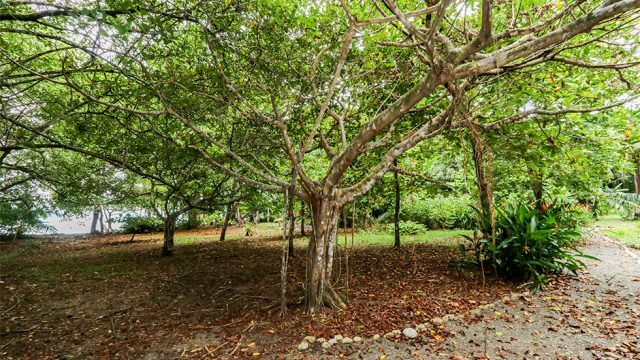 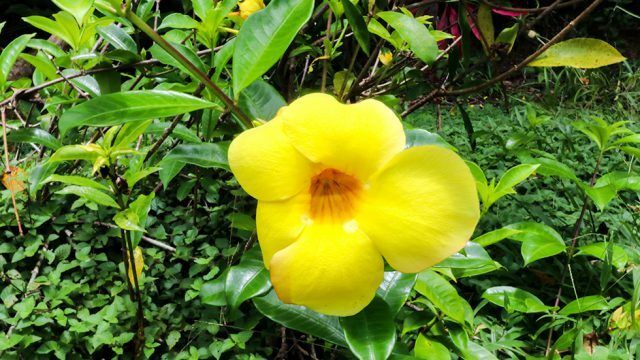 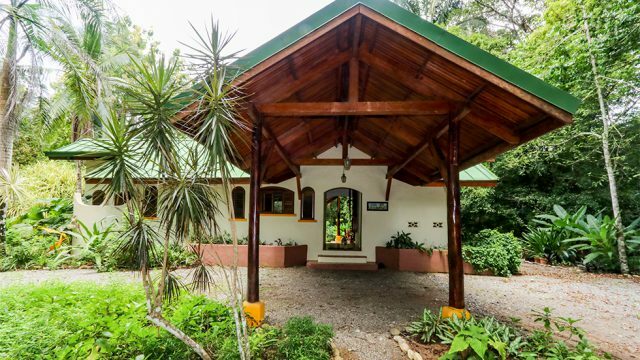 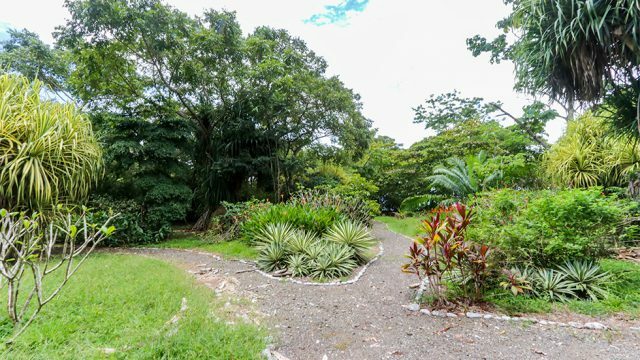 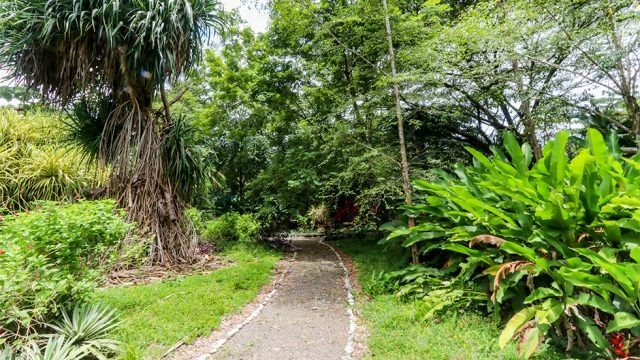 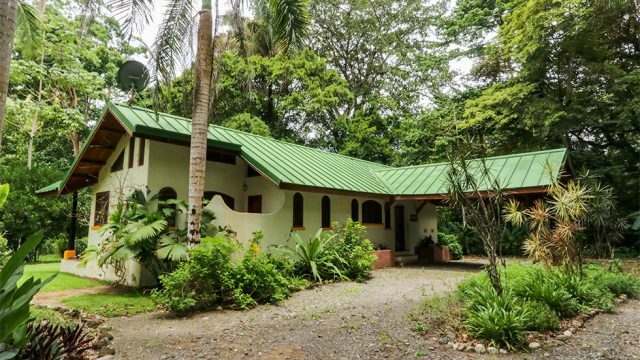 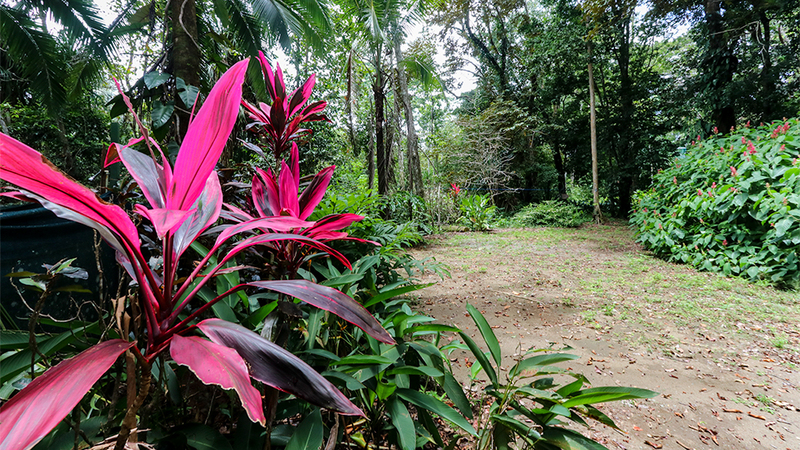 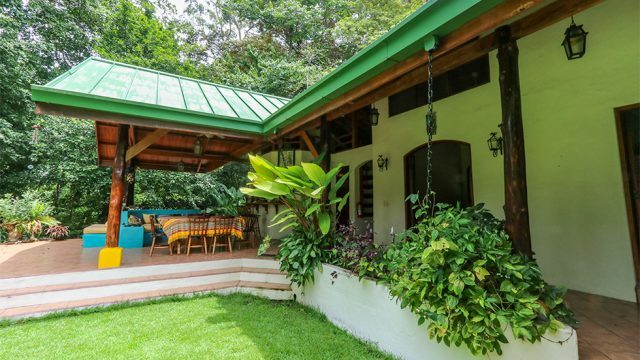 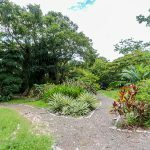 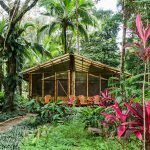 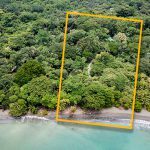 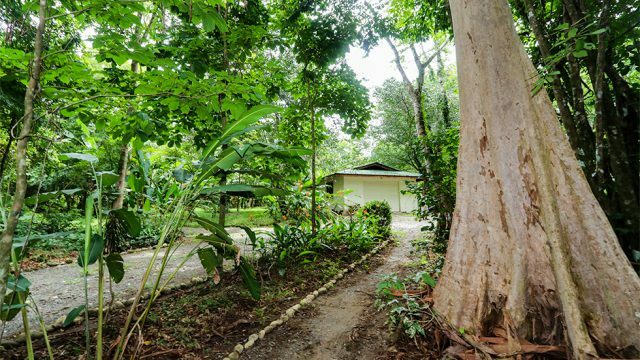 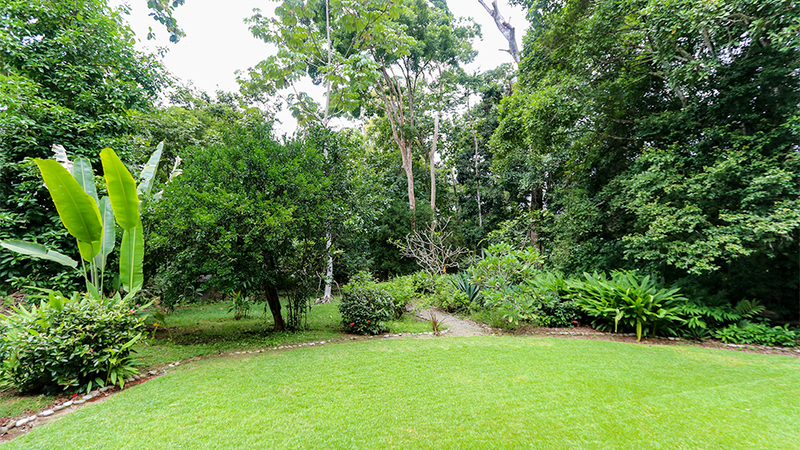 Totaling 4.94-acres, the property enjoys easy year-round access, approximately 8km south of Puerto Jimenez on way to Cabo Matapalo and Corcovado National Park. 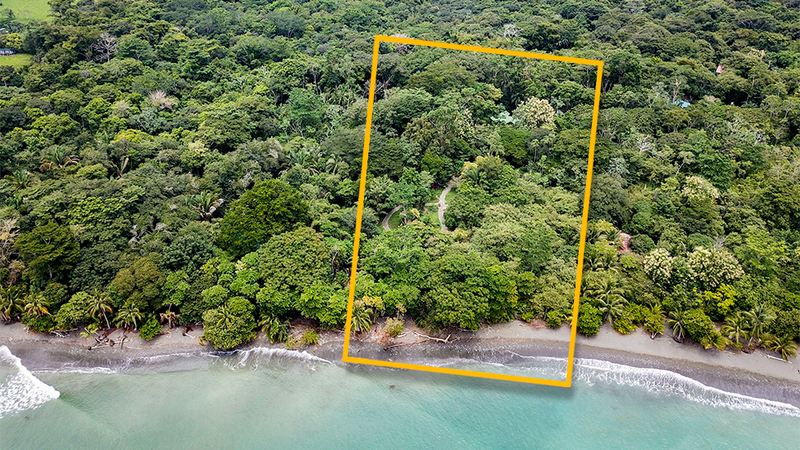 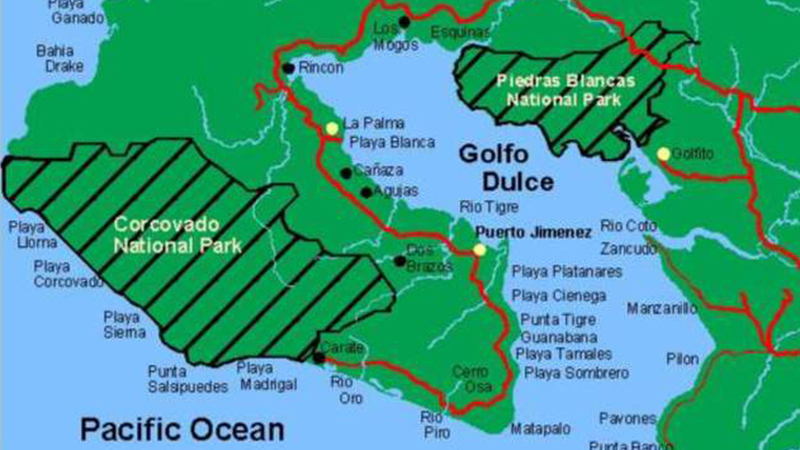 The offering is comprised of two planos: 1 hectare (2.47-acres) is fully titled land and the other beachfront hectare is a renewable Permiso de Uso contract with the Golfito Municipality. 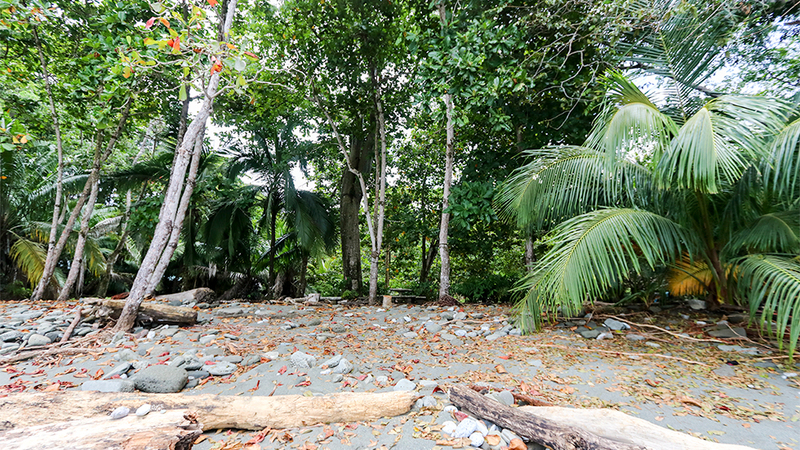 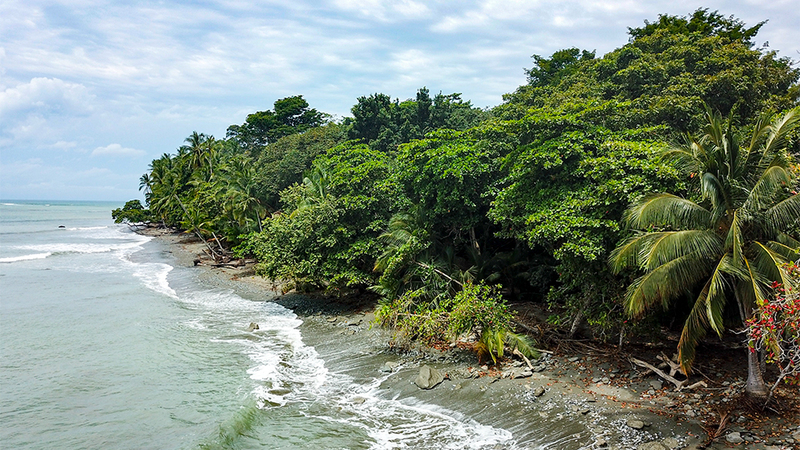 This scenario is common for most beachfront properties located in this part of Costa Rica. 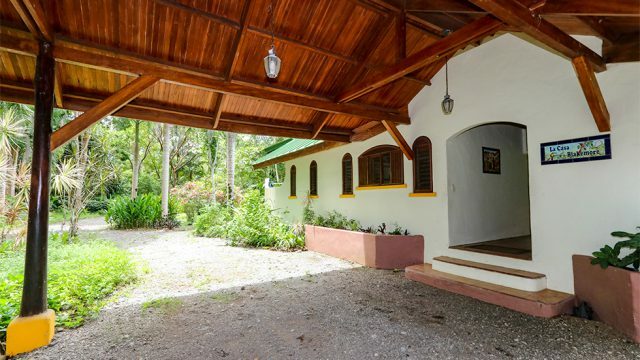 The majority of the infrastructure and construction is located on the titled portion of the property, while the rental cabina is situated on the beachfront portion. 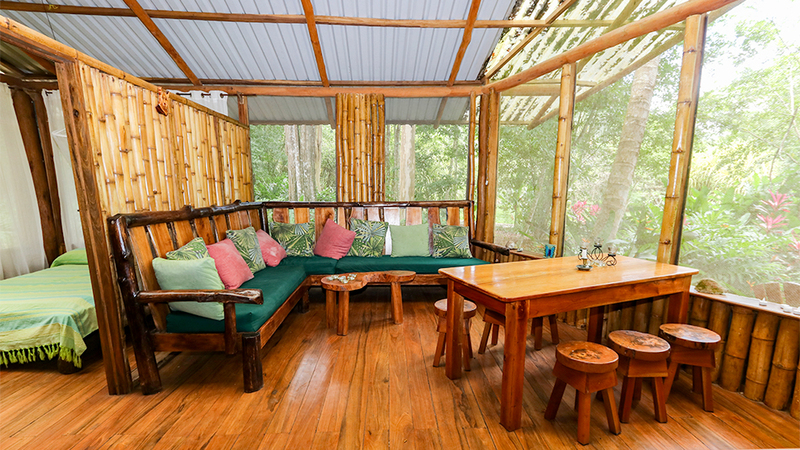 Generally any type of construction on Permiso de Uso land should be low impact and lightweight – such as the existing rustic cabina, portable yurts, or even resort style “glamping tents“. 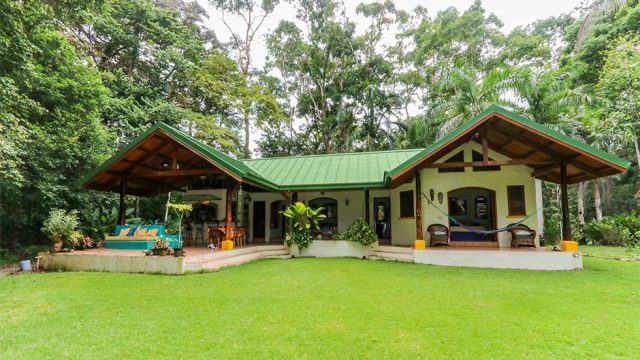 Note: If you would like a full explanation of the differences between, Titled, Concession, or Permiso de Uso properties in Costa Rica, please feel free to contact one of our investment advisor for clarification. 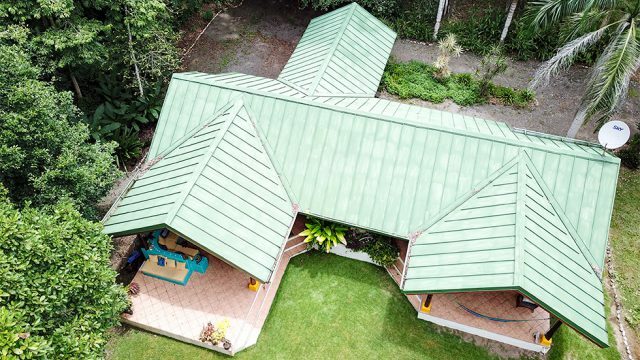 This property was listed previously for over $700,000 and now the asking price has been reduced substantially for a quick sale. 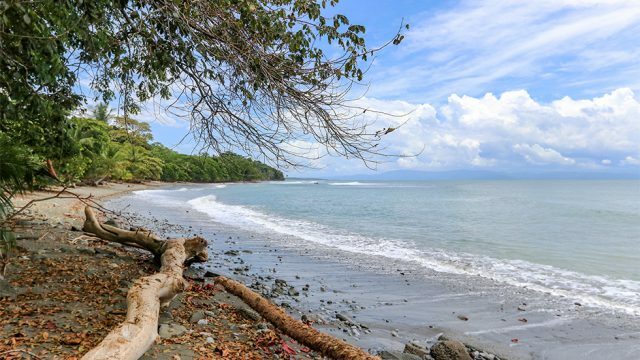 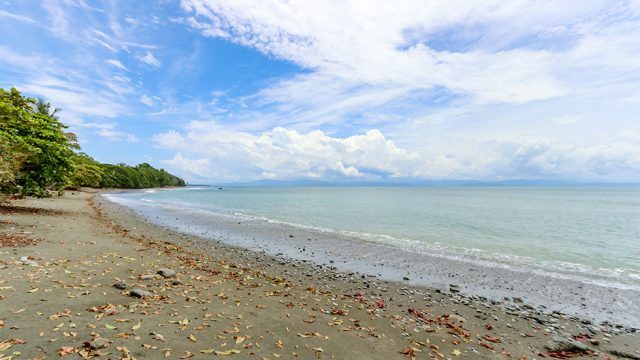 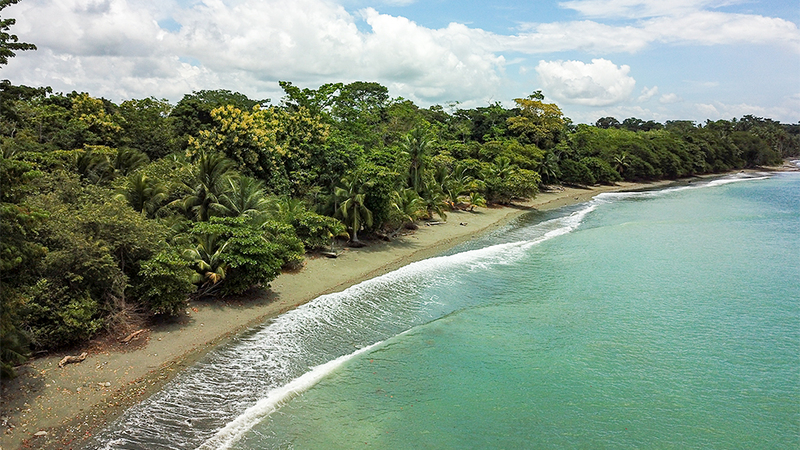 This listing is quite the find for a buyer seeking a beachfront property in Costa Rica located in one of the most unique places on the planet. 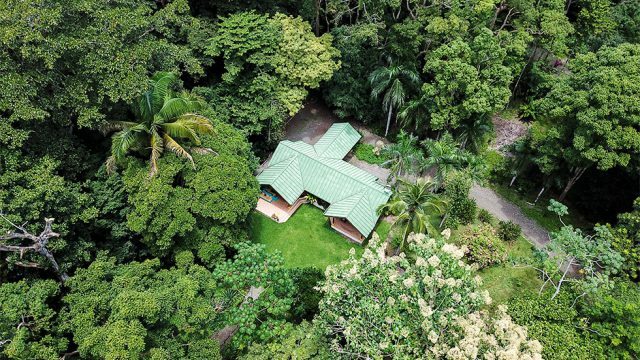 Before you book your tickets, if you are a buyer looking for a “finished luxury home” with golf resort-style amenities, you should probably look elsewhere. This is more of a rustic place that blends in with the environment where you and your guests reconnect with nature. The property will serve just fine as a personal income producing vacation getaway that offers a secluded beachfront location unlike most other rentals in the country. If you were to add a pool to the property, the marketability of the rental and the rates you can charge will increase greatly. 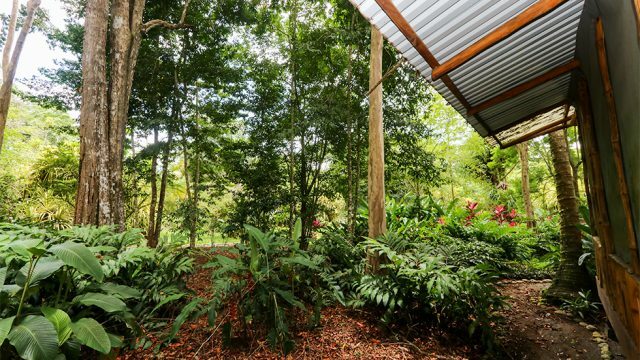 The natural characteristics of this property are stunning and provide a unique opportunity for a buyer who truly cherishes nature. 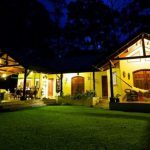 Would You Like More Info About This Property?